Spots at the Camp divided in age groups to secure games are played against players the same age en skills level. Registration is done through the webform down below. An automatic E-mail will sent out to confirm that we received the order. All details about payments can be found on webpage for each Camp. After recieving payment a confirmation will be sent out. Confirmation of payments are normally sent 7-10 days after the payment is done depending on delivery time of the bank transfer. If you dont se the E-mail please look in your trash bin since some e-mail servers treat unknown mails quite harsh. In total, 3 hours of ice with focus on details to increase your indvidual skills. 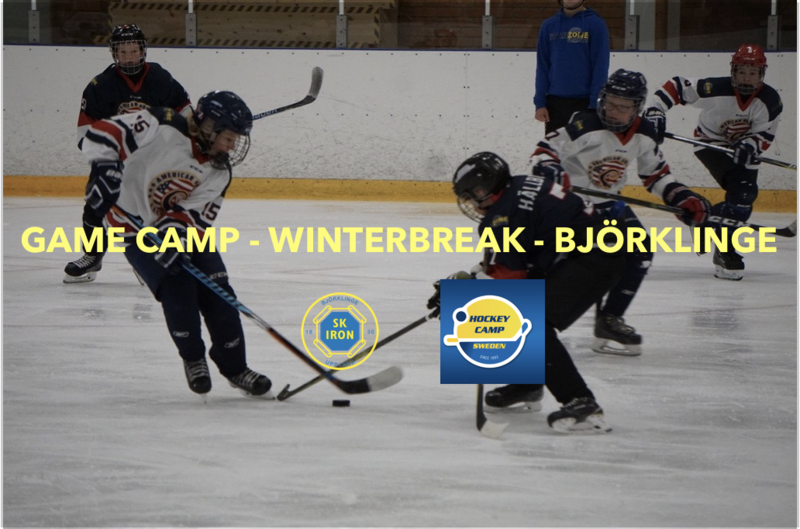 Develop your individual development skills in skating, stickhandling, shooting and game situations. 2 games every day of Camp in total 6 hours of games. Video feedback of individuell tactics through the Winnerheads App. We give you the perfect combination of NHL experience Powerskating training with powerskating coach Robby Glantz with 5 hour of in Camp games where every shift is recorded in the Players App. At our Camps we will give you the oppurtunity to challenge yourself in every way.